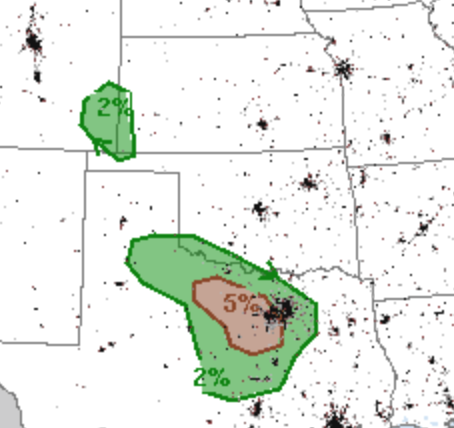 We have a small significant tornado threat today that does include the Metroplex (brown tint). The threats rise Friday with two large threat areas. This map is the combined severe weather threat, so the overall probabilities are higher. 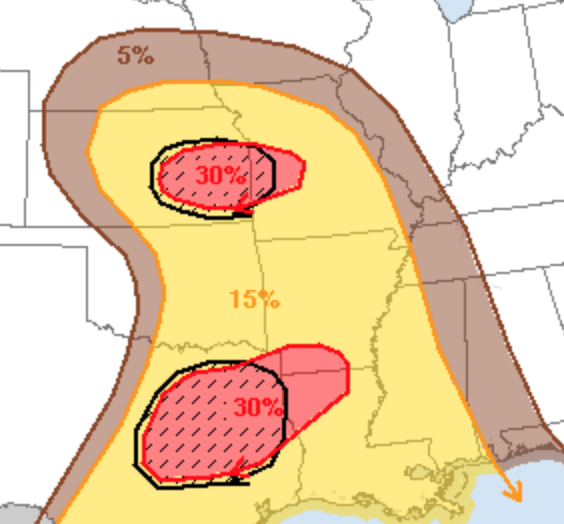 That said, the hatched area is where tornadoes are forecast to occur with a strong tornado or two possible. So, if you live in these areas, please plan to make sure you can round up the kids or care or the elderly if warnings are issued.